A vibrant historic community of 7,500 South Berwick offers residents and visitors a unique New England village atmosphere. It's downtown area is a mix of small shops, businesses and restaurants. Located on the Piscataqua and Salmon Falls Rivers, only minutes to Dover, NH and Portsmouth, NH South Berwick also offers easy access to Interstate 95. Many residents commute to Boston, MA and Portland ME. 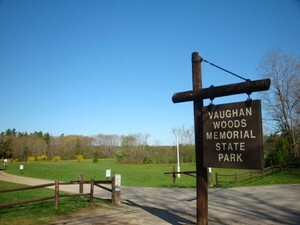 Attractions to South Berwick include Vaughan Woods State Park with its beautiful trails along the Picsataqua River, the historic Hamilton House and the home of author Sarah Orne Jewett in the center of town. Kids and families can sled and ski on Powderhouse Hill in the winter and swim in Leighs Mill Pond in the summer. South Berwick is also well known for its Strawberry Festival at the end of June. South Berwick offers many neighborhood options from newer subdivisions such as Agamenticus Estates, Old Mill and Meadow Pond to quaint New Englanders within walking distance of the village to rural country homes. South Berwick is part of the Marshwood, SAD35 School District.